The Australian head of Tourism Fiji has described Harvey World Travel's decision to stage its annual 'frontliners' conference in Fiji as indicative of the renewed interest now being generated in Australia for the destination. Tourism Fiji regional director – Australia, Paresh Pant, said he was confident the event would prove a catalyst for a resurgence in Australian visitor arrivals following what he described as a “lean first six months of the year”. Addressing the 400 agents attending the event at the Shangri-La’s Fijian Resort & Spa, Pant re-empathised the efforts Tourism Fiji’s Australia team has gone to keep the destination top of mind with both the travel industry and the general public. “To say the campaign was a success would be an understatement,” Pant said. “Collectively our major wholesale partners report their Fiji business throughout the period increased by up to 75 per cent on a week on week basis. “The same applied to our smaller tour operators who collectively recorded a 55 per cent increase in business on a week on week basis for the period. “These figures and preliminary results from the latest national TV campaign with Fiji Specialist Holidays and Air Pacific which ran this month bode extremely well for our 2009 Australian visitor arrival objectives and will play a major part in seeing us achieve targets,” he said. 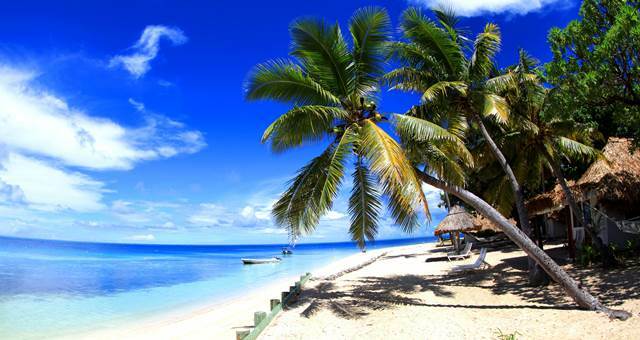 Harvey World Travel managing director David Rivers said that Fiji remained one of the company’s top selling destinations. “More than 40 per cent of tourist arrivals to Fiji come from Australia, last year that figure was some 232,000 and I’d like to think HWT has been responsible for some 50 per cent of those arrivals,” he said. “Tourist numbers are expected to improve in coming months with the assistance of the devalued Fijian dollar but more importantly, via the strong marketing efforts and campaigns which have made Fiji such a competitive destination. “Without question, the government’s efforts in securing new air routes and an ‘open sky policy’ would also be an added incentive to this burgeoning market. “As you know, Fiji has long been sitting as the number one for Australian travellers when it comes to holidaying in the Pacific islands, so I can’t stress enough how important Fiji is to the Australian market,” Rivers said.